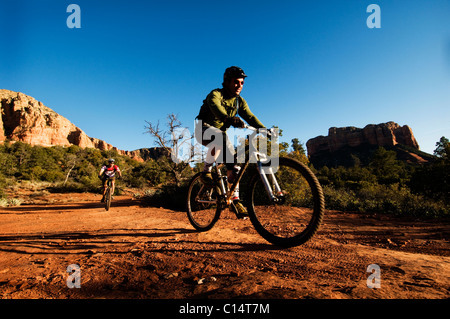 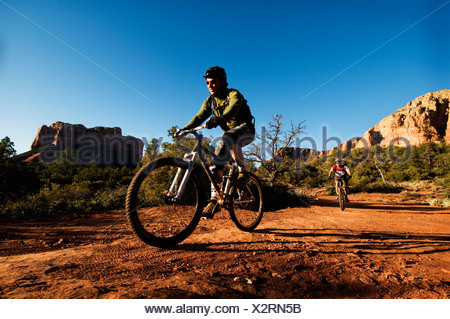 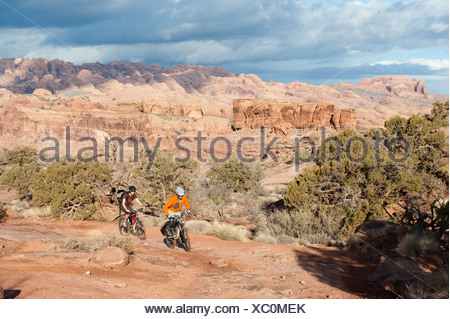 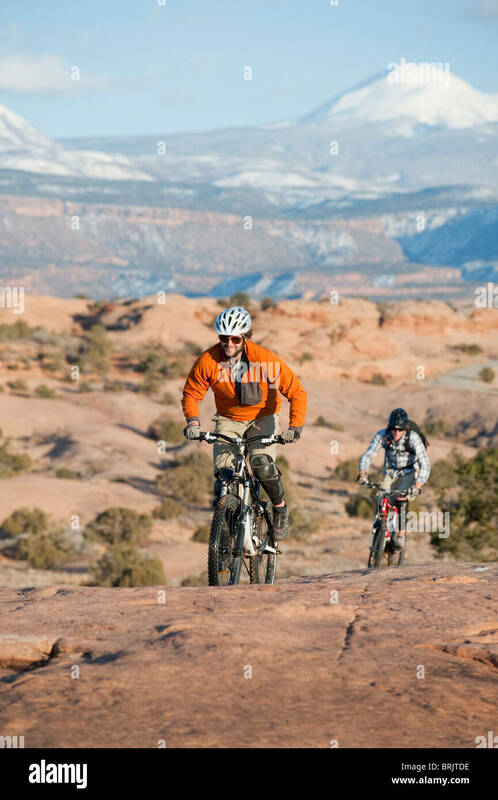 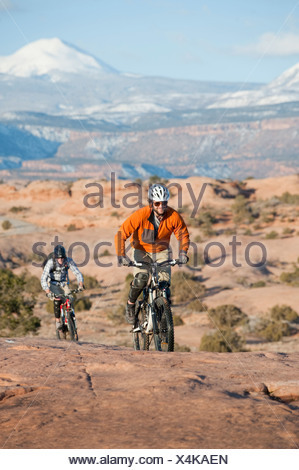 Two middle age men ride mountain bikes through the red rock country of Sedona, AZ. 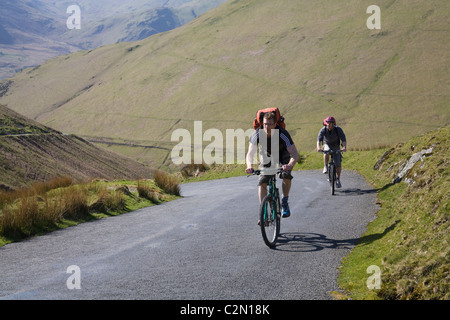 Smiling man giving piggyback ride to his girlfriend on the top of a mountain. 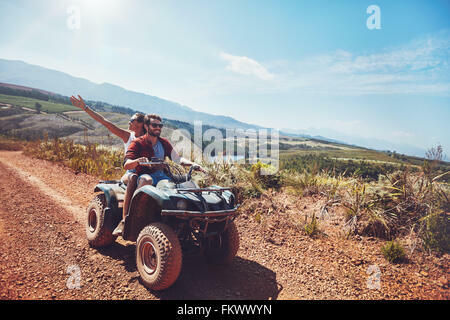 Happy young couple enjoying life. 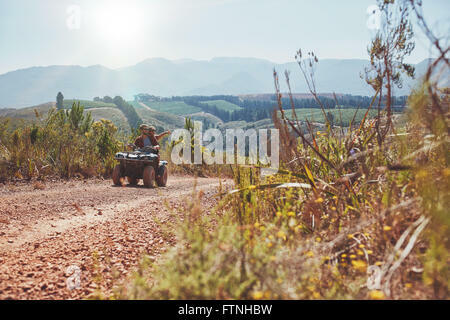 Young couple on an off road adventure. 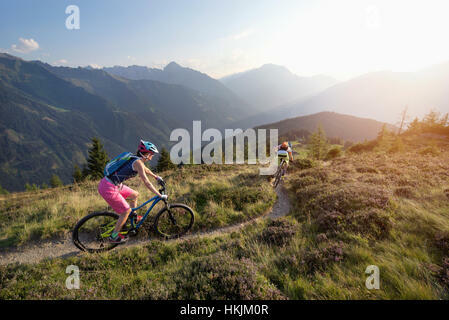 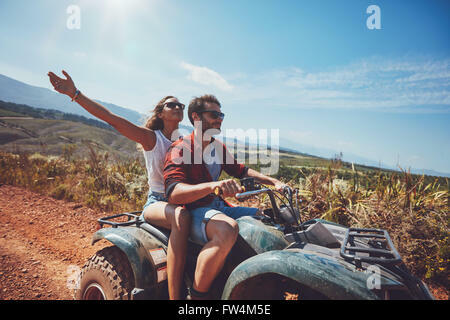 Man driving quad bike with girlfriend sitting behind and enjoying the ride in nature.